The following was something I wrote back in 1997. Let me be quite clear – the story below as outlined by the anonymous letter to me is well beyond my realm of beliefs, and wanted to not even investigate it due to the nature of the claim. However, in the process of looking into the project name that was given to me, I received an intriguing response from the United States Air Force that will forever be a mystery (unless ‘disclosure’ in 2025 proves me wrong) – but I feel it’s worth a mention. Could this be a mistake by the Air Force? Possibly! 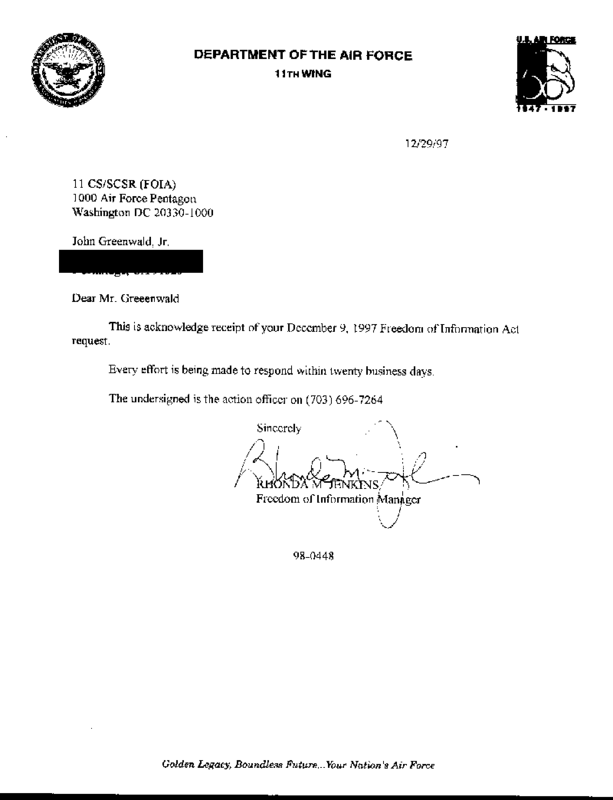 But now, almost two decades later, I have learned the military and the government don’t make many assumptions on FOIA requests, so a “mistaken assumption” on my inquiry would make this one of the only cases they actually did that with me. And to date, I have filed well more than 5,000 FOIA requests. So take that for what it’s worth – and here you go. For those who are not familiar with this photograph, it is a supposed alien aircraft, and the picture is the craft mounted on top of a pylon, possibly at a Lockheed plant or even Area 51. Now, “Benjamin” told me that this was an X-151 aircraft from Project Torridor. “Benjamin” went on to say that you would never get a picture of an alien aircraft in the daylight. “Benjamin” worked for the National Reconnaissance Office. He relayed to me that all “Black Projects” are compartmentalized, that way no agency can really know what the other is doing. He went on to tell me a bit about a base in New Mexico, in a mountain called “Baldy.” The base is 200 feet deep, and 30 acres square. There are 1,500 from another world working there. They come from a dead planet in the Cygnus Ra Star System. “Benjamin” worked there, and gave me the exact coordinates: 21hours 13minutes 52seconds D33 degrees 10′. The aliens, in exchange for us giving them a place to live, they will help us advance to join some kind of an alliance of planets. They hope that we will be ready by the year 2025. This is where Project Tobacco comes in. Project Tobacco is a project to get the public ready for this event. It is done through movies, media, books, television, and magazines. Project Tobacco was given it’s name because if anybody else would find out about it, it would burn up like Tobacco. So, on December 09, 1997, I wrote a Freedom of Information Act request to the United States Air Force, and also to Wright Patterson Air Force Base, which “Benjamin” told me was part of the project. 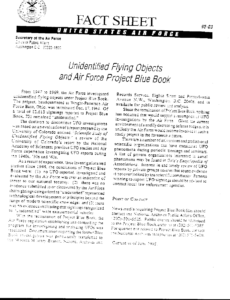 It went on to give me information on UFOs and Project Blue Book, and they attached a Fact Sheet on UFOs, a page I have been given many times. 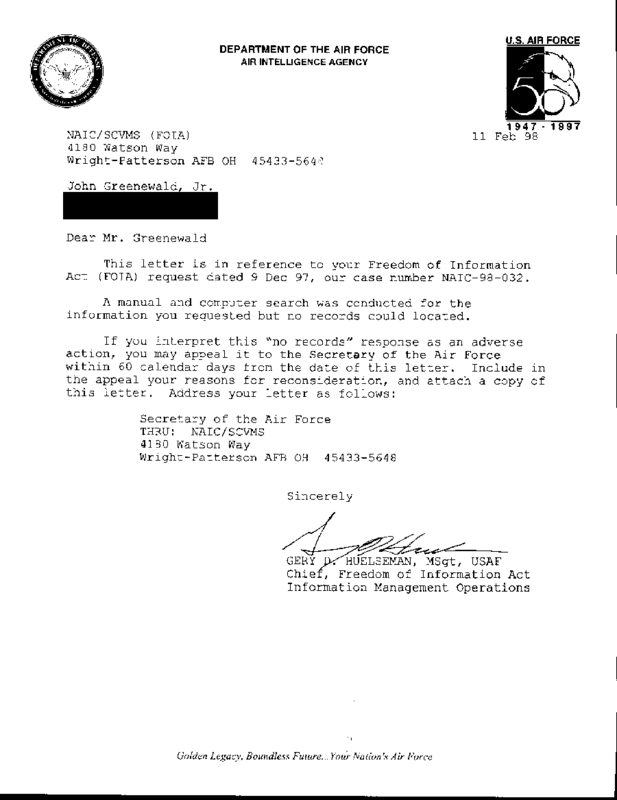 FOIA Response letter, dated December 29, 1997, from the United States Air Force to John Greenewald, Jr. Confused, I checked back to my letter, wherein I did not mention UFOs at all. No mention of aliens or flying saucers or anything that would spark a response like that, NOTHING. 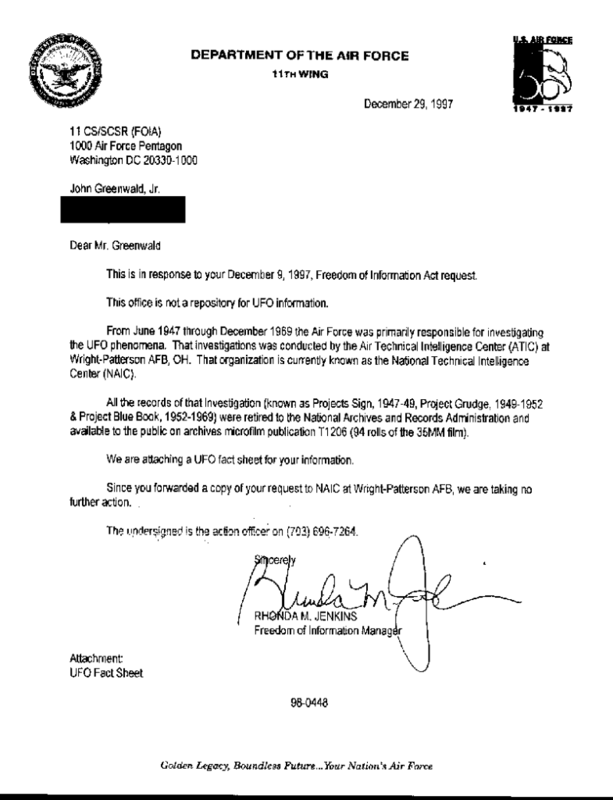 UFO “Fact Sheet” commonly given out to UFO FOIA requesters – and received by John Greenewald asking for information on Project Tobacco. Was this a goof-up? I went back to “Benjamin” who was very surprised I got this response. Wright Patterson is still to respond, but what will I get, if anything, from them? Now I am getting very interested, possibly “Benjamin” is telling the truth. 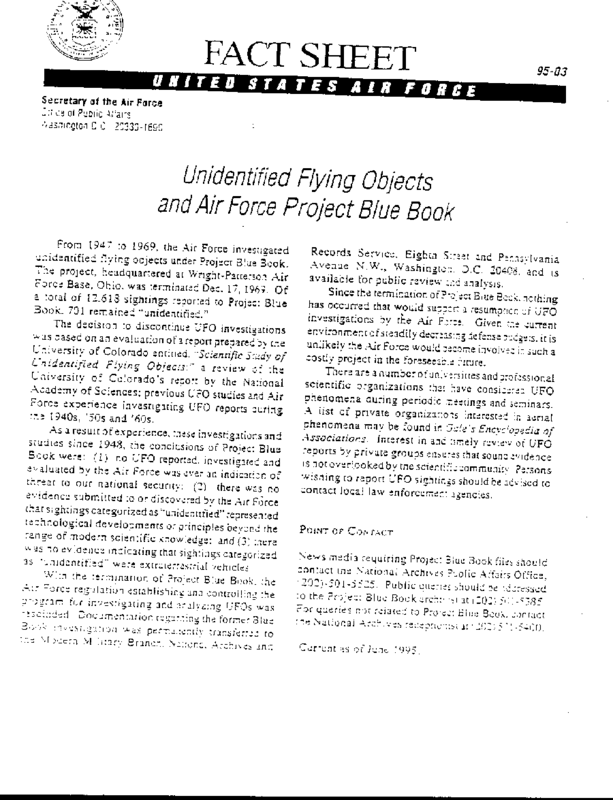 Or maybe the Air Force did goof-up, but maybe they just figured I was talking about UFOs? Highly unlikely, because not all my requests to them deal with UFOs. Final response from Wright Patterson Air Force Base, as received by John Greenewald, Jr. WPAFB claims they had “no records” on Project Tobacco. Is this information real? 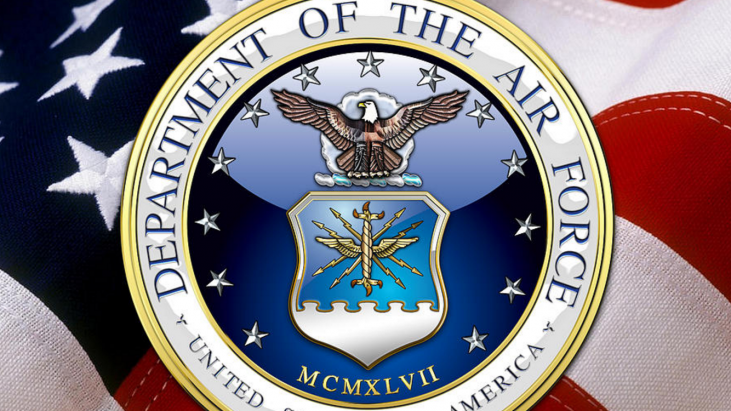 Did the United States Air Force Headquarters make a huge mistake by referencing UFOs on a Project Tobacco FOIA request? Comment below – and share your thoughts!